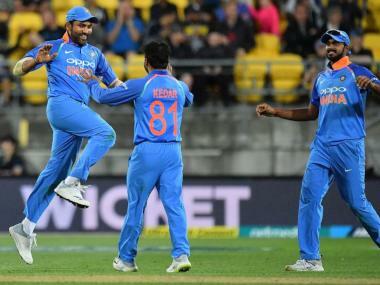 After a long time, India will go into a major tournament with pace bowling being one of its strength. Perennially, the Men in Blue have relied on their batting might and their slower bowlers to do the job for them. But in the last few years, Indian pacers have joined the party. 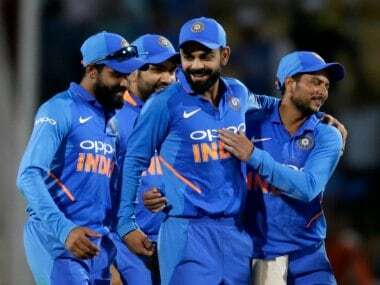 Bhuvneshwar Kumar, Umesh Yadav, Mohammed Shami and Jasprit Bumrah all have found a place in the Indian squad and each of those bowlers has a clear role to play in the Indian side. 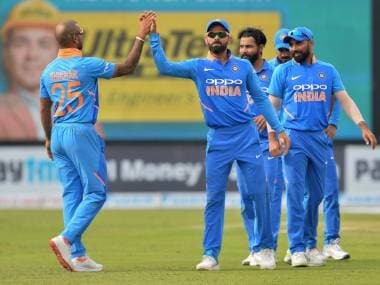 Virat Kohli is going to have a selection headache while picking his fast bowlers, but it would be extremely hard for the Indian captain to look beyond Bhuvneshwar, who going into the Champions Trophy is one of India's most complete bowlers. He can swing the ball at the start, making him a real threat for the opposition. The 27-year-old has over the last year also developed a pedigree as a death bowler. 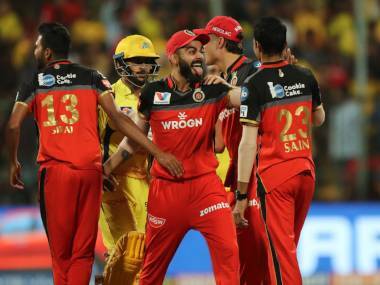 In the recently concluded IPL, the Indian pacer was the highest wicket-taker with 26 wickets, and that tally was only possible with him chipping away with some wickets at the fag end of an innings. Bhuvneshwar started off as an excellent new-ball bowler, who regularly picked up wickets at the start of the innings, but a lack of pace and variation meant he proved to be a liability in the death overs. Known to be a cricketer who thinks a lot about the game, he got his head over the weaknesses in his game and worked a way to iron out the chinks in his armour. In a recent interview to ESPNCricinfo, the Meerut pacer revealed how he resorted to power training to bulk his body and develop the strength to generate extra pace. Bhuvneshwar, who used to bowl around the 130 kmph mark, has now managed to touch 140 kmph. There have been many Indian bowlers who have threaded a similar path in recent years, but lost their trademark strengths like swing bowling. Bhuvneshwar seemed to be going down the same track during the series against South Africa, where he was battered all over the park. He went for over a hundred runs in his spell in the fifth ODI at the Wankhede Stadium, where South Africa piled up a score in excess of 400. The 27-year-old revealed in the interview how he regained his lost swing while retaining the pace he had gained. The results since have significantly improved for Bhuvneshwar with key additions like the knuckleball and the yorker, which have made him equipped to be successful in the death overs. With the extra pace, his swing bowling could prove to be a real asset for India in swing-friendly conditions in England where the pacer has a decent record. In the nine matches played on English soil, Bhuvneshwar has picked up 11 wickets with an impressive economy rate of 4.10. He is also among the in-form bowlers in the Indian ranks after his exploits in the recently-concluded IPL season, and the evolved Bhuvneshwar should be among the first few names on India's team sheet, especially in England. Playing for the Sunrisers Hyderabad, the Indian has shown a knack of guiding some of the younger bowlers and spearheading the pace attack in the absence of Ashish Nehra. Having learnt 80 percent of his cricketing knowledge by observing other senior bowlers, Bhuvneshwar would also have learnt a thing or two about being a leader of the pack. While Bhuvneshwar will have to deal with bowlers of similar experience as him, his all-rounded abilities as a fast bowler makes him the ideal candidate to spearhead the Indian pace attack. India's hopes in this year's Champions Trophy will be largely pinned on how their pacers bowl, and Bhuvneshwar Kumar's performance will be even more key for India's chances considering he will be equally useful at both ends of the innings. The 27-year-old has certainly evolved over the last few years. While many Indian bowlers have fallen by the wayside by this point in their careers, Bhuvneshwar has gone from strength to strength. Australia's captain Steve Smith mentioned Bhuvneshwar as one of the bowlers to watch out for in the upcoming Champions Trophy having seen him very closely during the IPL and his side's tour of India. There is a good case for the world to regard him as one of the finest bowlers in the game now. If not, then the Indian pacer will look to make that clear in this Champions Trophy.